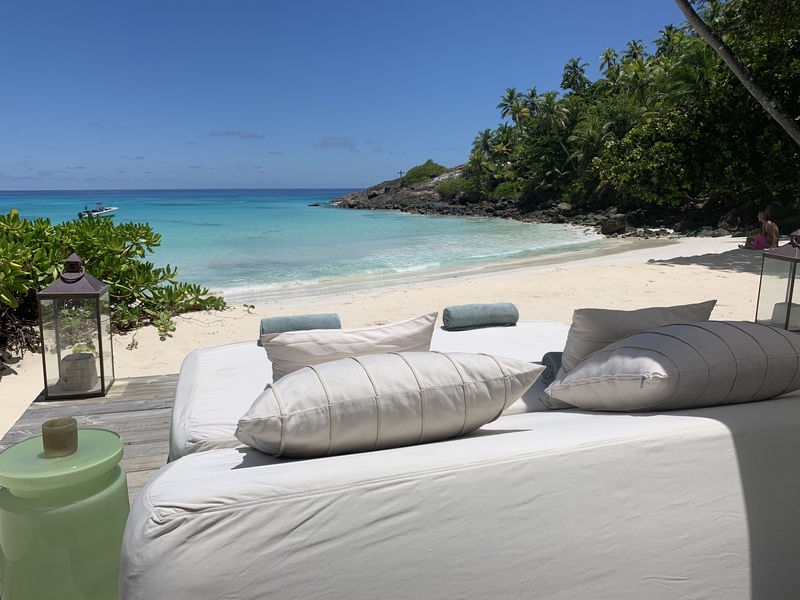 As the summer comes to and end, and what a summer we have had in the UK, with an amazing ‘Indian summer’ to end the season, here at Safari and Beach we wanted to take some time to reflect on the busiest season for travelling. As the children settle back to school and the season changes, we wonder if the children who went on safari are still recounting their ‘lion tales’ to their friends in the school playground? Then we get to thinking what makes a great family safari? This season we have had some incredible feedback from our families. We have had wonderful interaction with a Maasai school, the Iraqw tribe, incredible wildlife sightings and some life changing moments for some of the teenagers that travelled with us, having gained a new appreciation for their first world lives. 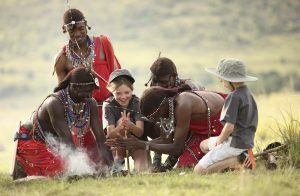 When planning a family safari we take a lot of time to understand who is travelling, what ages are the children and what are the safari dreams? So every family safari we create is different and bespoke because no one family is the same and neither should their safari be. 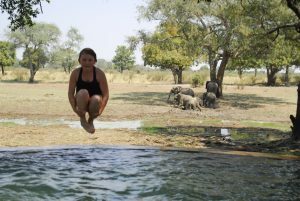 It’s a very personal experience and most of us at Safari and Beach have children and have travelled with them extensively, so we have personal first hand experience when it comes to planning and experiencing a safari with the family. 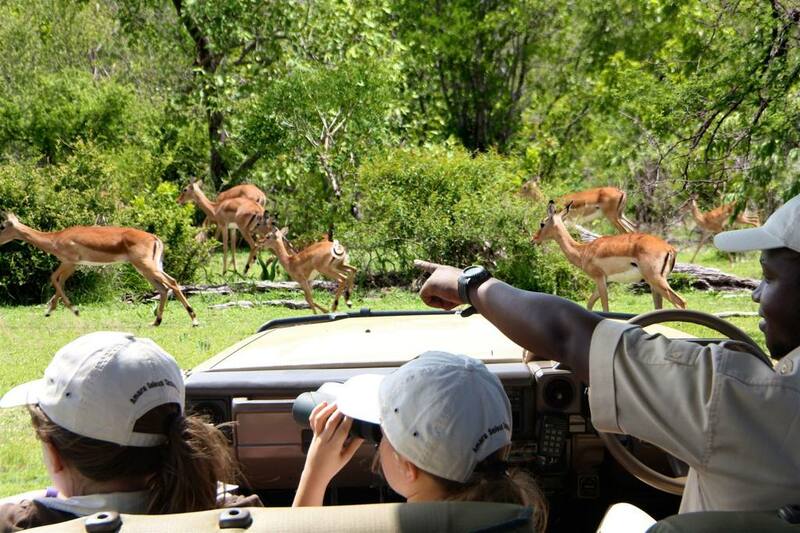 So what does make a good family safari? Obviously this is one of the main reasons for going on safari. We try to place people in the best areas for game viewing without compromising that feeling of isolation, because some areas can be ‘busy’ at peak times. 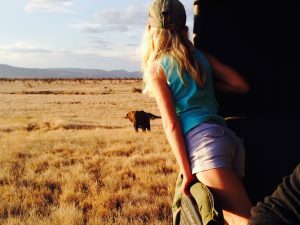 There is no doubt that seeing your first elephant or lion is a one off experience and will provide life long stories, but it’s the smaller wildlife too, that will also engage you and your children. The life of a dung beetle, watching this little creature roll a huge elephant poo never fails to amuse the little ones. Your guide can make your trip and they are the key link between you and the wildlife, bringing it to life by telling stories, offering facts and instinctively understanding the animal’s behaviour, movements and how to locate them. The guides know the areas exceptionally well and can navigate an area that looks so vast and open, better than we can the M25! This is one of the most important aspects of your trip, which is why we have to know your family well before we build your safari. Do you all want to stay in the same tent? Have you got teenagers that will be happier in their own tent? Do you need interconnecting tents? We would always say that children under 16 should be in the same tent. When people think of tents, they think of camping and pitching your own tent – this is the complete opposite. Yes, they are tents but they are plush, often beautiful interiors and always very comfortable beds. 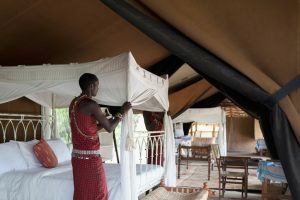 The best family tent on safari is one that connects together, giving you privacy but also the comfort that your children are safe and in the same tent as you. 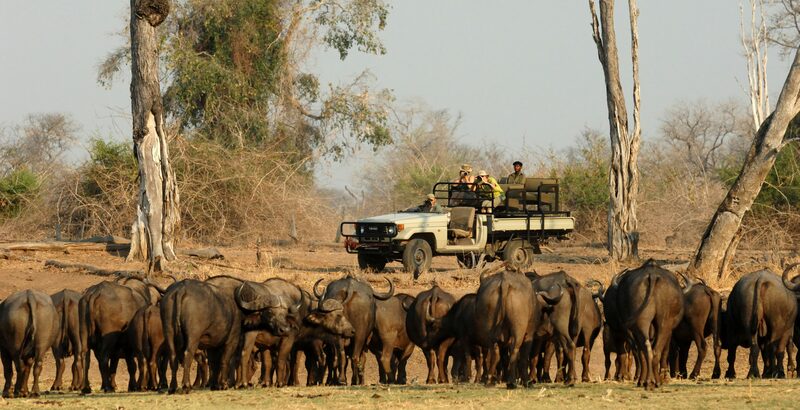 Our safaris provide you with your own private guide and vehicle. We think this is really key to making for a successful experience. It gives you the freedom and flexibility to do your safari your own way. Every family will have a moment when they bicker, the youngest is having a meltdown or you need to stop for the fourth ‘bush break’ (toilet stop), but none of this matters as it’s just you, your family and your guide so you don’t have to worry about group logistics or constantly upsetting other guests. 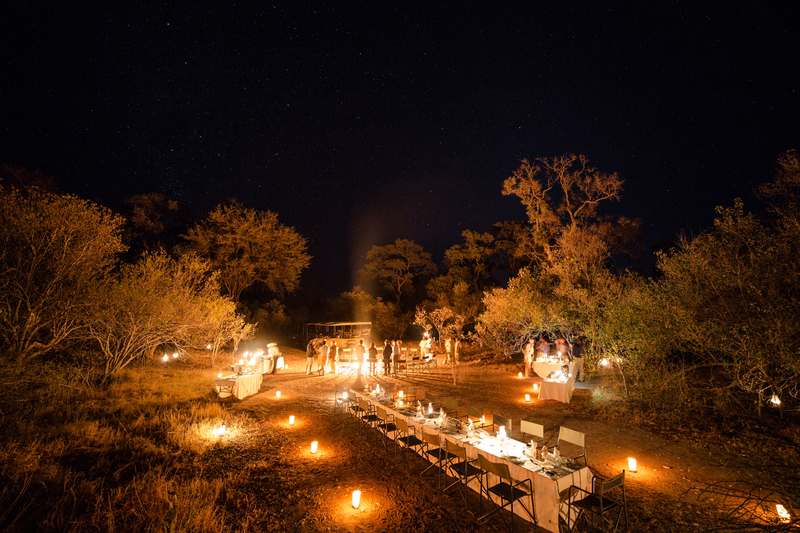 You will of course get to enjoy some group gatherings when you return to camp and eat meals with other guests, which we feel this is one of the great experiences of a safari; sharing stories around the fire of what you have seen that day. The experience will naturally make your family connect again. 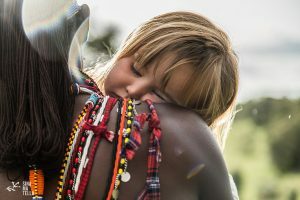 You may have a busy life back at home and be juggling all the usual suspects of family life, but once on safari all that falls away and you’re left with just the connection with each other, and the connection to nature. 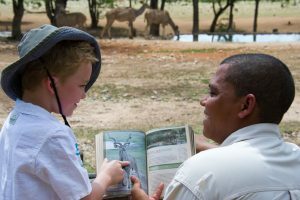 It can be a very powerful and enabling experience for children to be on safari. They experience what it is like to live without wifi, with limited electricity, water, all the things we take for granted. Although your safari accommodation will always be comfortable and even luxurious you are still aware of these basic necessities. So a feeling of humility and seeing things from a new perspective is often something that is experienced. 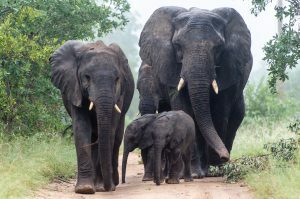 We think the secret ingredient to an excellent family safari is diversity and variety. This is vital to keeping young children entertained. 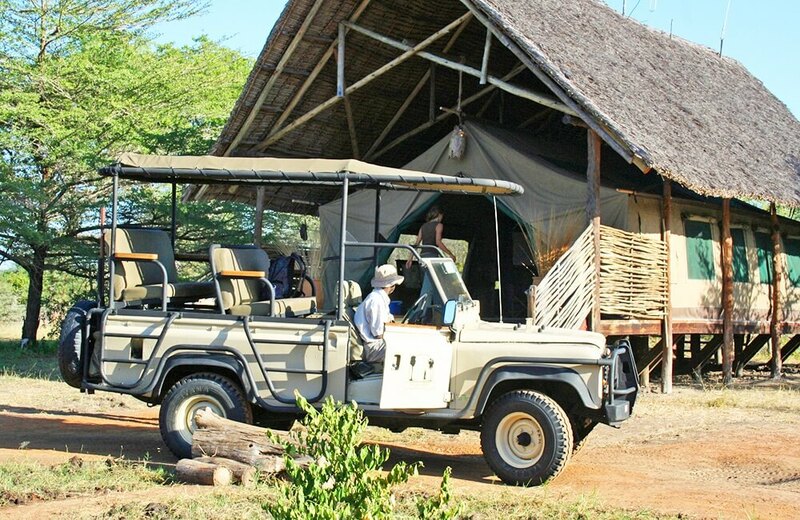 Safari days can be long and yes you do spend time in the vehicle, but a good guide can break that time up well. Lots of breaks, picnic stops, getting out of the vehicle and collecting specimens and exploring. Following animal tracks and getting the children to help track the animals. Our guides are expert at doing this and most have families of their own so know what is involved in keeping a 7 year old happy! Our recommendation would be Tanzania and Zanzibar, for so many reasons. The logistics work so well together to have a smooth Safari and Beach experience. It is also a great option for those worrying about jet lag, because you don’t get any. You fly south rather than across time zones, so makes for a comfortable trip with children. When going to Tanzania there are two main options for your safari. 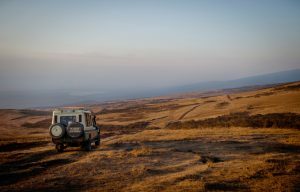 Northern Parks, including the Serengeti, Tarangire and the Ngorongoro Crater. Alternatively, the pristine wilderness of the Selous Game Reserve is spectaculor and good for variety. 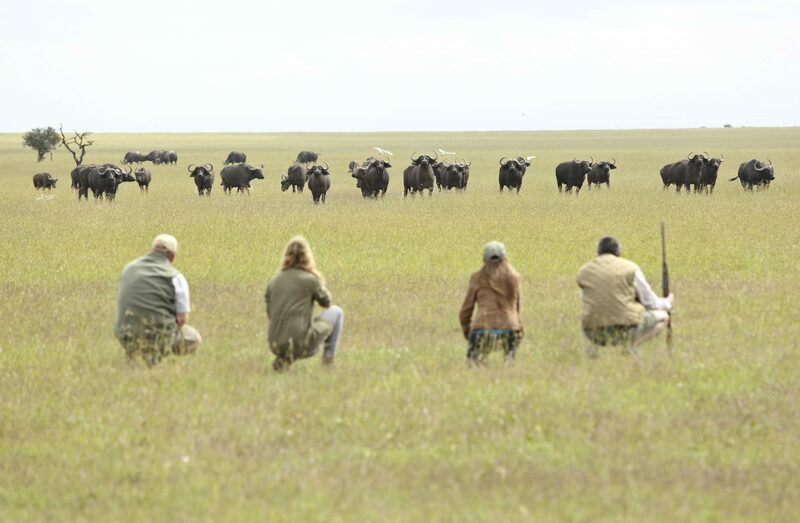 This safari itinerary including the northern parks involves visiting the spectacular Ngorongoro Crater and Serengeti as well as the Tarangire which is great for elephants. Also the north of Tanzania offers an incredibly dramatic landscape throughout with the Rift Escarpment, Ngorongoro Crater and Serengeti Plains which along with the opportunity of some genuine interaction with the local Maasai, offers a really diverse and interesting experience. Take a look at what a sample safari itinerary would look like. If you are wanting a more lodge-based experience with the chance of getting on the water then the Selous Game Reserve is perfect. It is a really high-quality game viewing area, perfect for a shorter safari as it is easily reached by light aircraft directly from Dar es Salaam. It is the largest National Park in Tanzania and because it is so remote and a little less well known, you can really get the feeling of being in the wild. Selous uniquely offers you an excellent mix of game drives, river and walking safaris. It will be a great adventure and there is scope for plenty of activity. The Reserve has an excellent reputation for the big game (including big cats) as well as a large variety and numbers of plains game, many of whom never wander too far from the river. We have put together an itinerary that gives you an idea of what a southern Tanzania safari would look like. There are of course many more places to undertake a family safari and very much depends on your budget but we think it’s hard to beat Tanzania and Zanzibar. 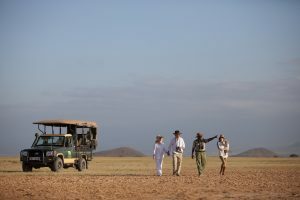 Wherever you choose to go on safari, the experience will not fail to unite, excite and simply overwhelm you. It truly is a once in a life time experience and if you are lucky, more than once in a life time. I think it’s worth closing this post with an extract from one of our families who travelled with us this year, a family of five who had an incredible time and at the end of the trip, the twenty-year-old son put his arm round his dad’s shoulder and calmly said “well done, Dad”. Next article What makes a luxury safari a luxury safari? Hi I’m looking at beginning of July 2019. 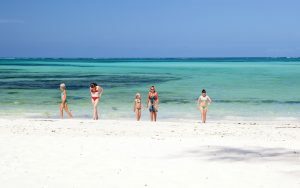 2 week holiday, north Tanzania circuit with Zanzibar. Two adults, two girls 11 and 9 years old. How much for half board and the flights and transfers included and include protection 4 X 4 etc when out looking at the game. 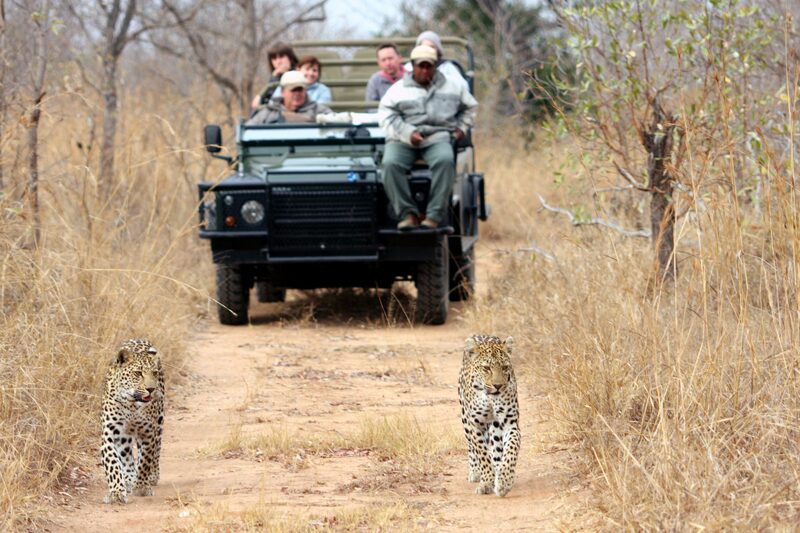 You are here: Home » Blog » Looking for a perfect Family Safari?